Live smarter by knowing more about the place you care about most. Eve Door & Window understands whether your door or window is open or closed. See the current open/closed state at a glance and view statistics on time & duration to make smarter choices. Taking advantage of Apple's revolutionary HomeKit technology, Eve offers unparalleled ease of use, advanced security, and tight integration with Siri. 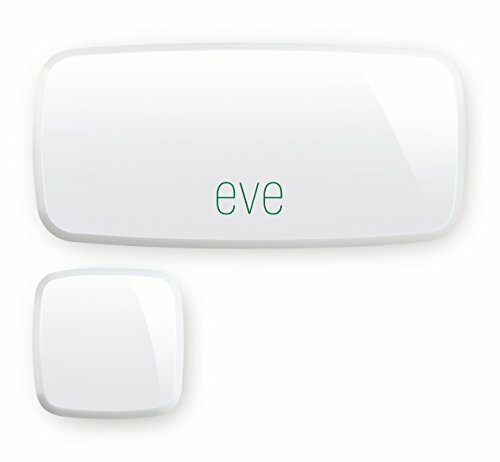 Eve Door & Window connects directly to your iPhone or iPad using Bluetooth Smart technology, without requiring a hub, gateway or bridge. With Eve, see your home at a glance, right on your iPhone and iPad. The Eve family of HomeKit accessories gathers data on air quality, temperature, humidity, air pressure, energy consumption and more. Gain insights that help you improve your comfort, and make your home a smarter place. Use the free Eve app to view all data collected by Eve and control all accessories featuring HomeKit technology.